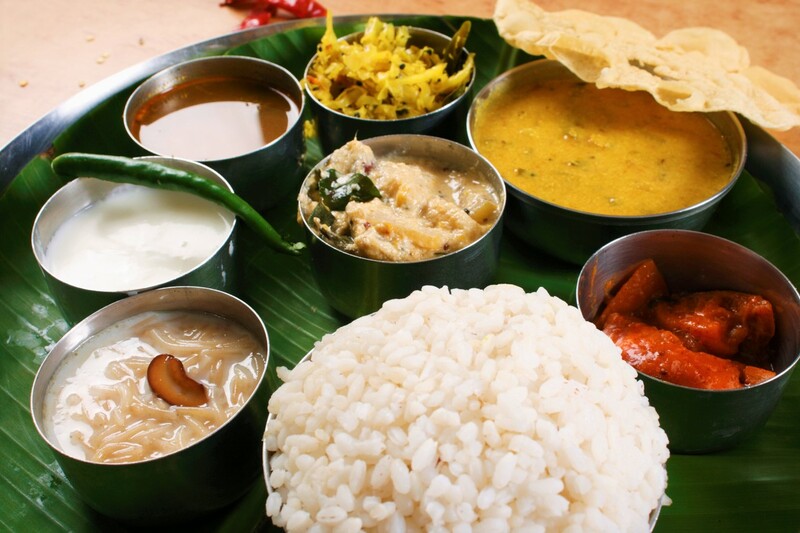 Karnataka has one of the mildest cuisines in India. It has many different and diverse regions, each with their own unique Karnataka foods to try. 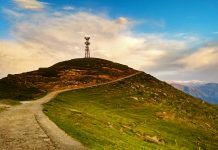 The regions – North Karnataka, South Karnataka, Kodagu, Udupi, Mangalore – have their own staples and specialities, from vegetarian dishes to seafood and meat curries. 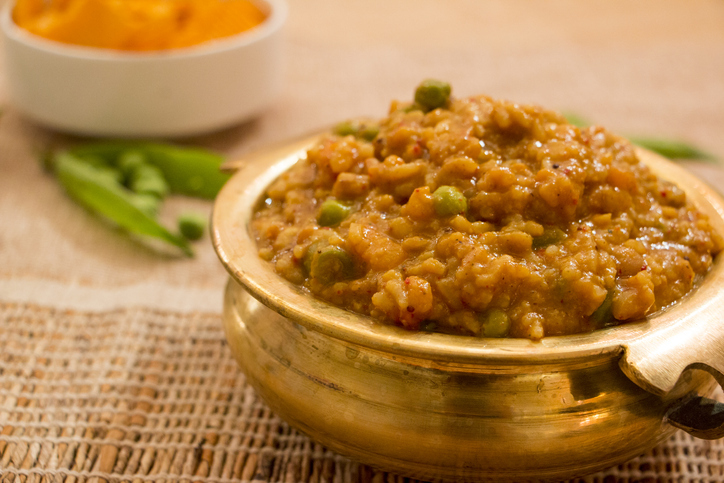 Bisi Bele Bhath is one of the most popular Karnataka foods. Essentially a blend of rice, lentils, vegetables and spices, all cooked together to create a flavourful all-in-one dish. 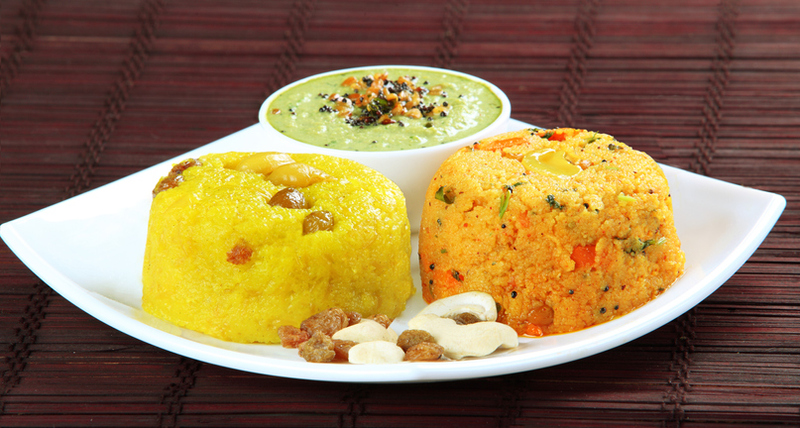 It is often served with generous helpings of ghee and potato chips or boondi. 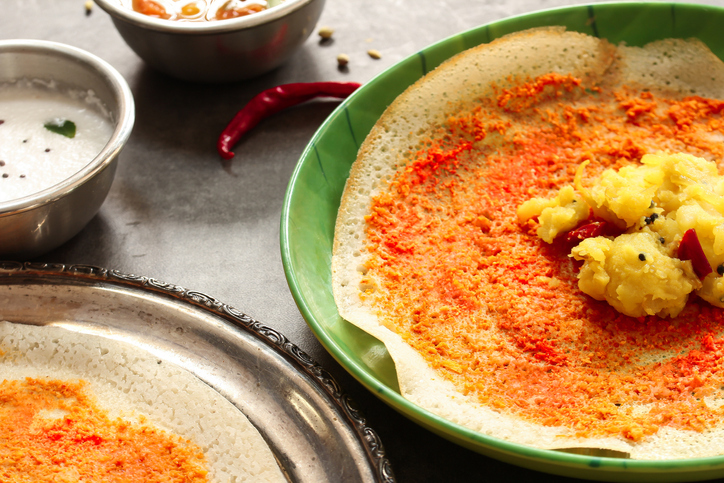 Dosas are a popular dish all across India, and Karnataka is no different. They are essentially pancakes made with fermented batter of rice and black gram, and served with sambar (lentil stew) and chutney. The southern state is known for its many varieties of dosa. One of the most well-known is Davangere benne dosa, which is made with generous amounts of butter, while Mysore masala dosa is smeared with chutneys stuffed with spicy potato filling. Set dosas area thicker versions, while you can also get dosas made with ragi (millets) and rave (semolina). Another popular variation is the neer dosa that comes from Mangalore, where the rice is soaked in water overnight rather than being fermented. 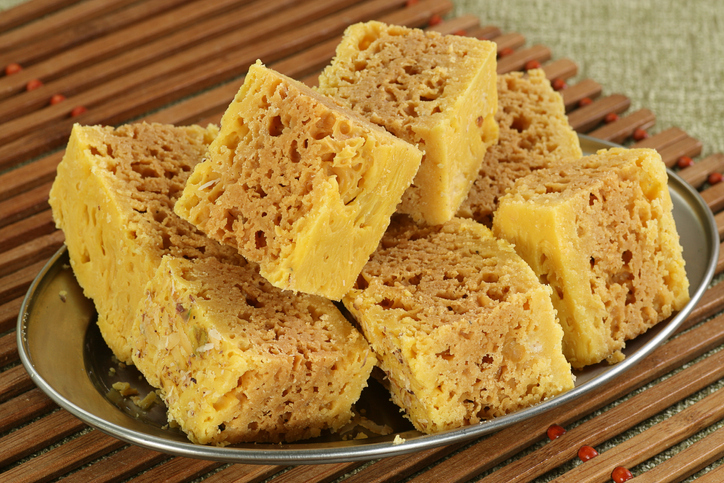 Mysore Pak is a well known sweet from Karnataka. It was first created in the kitchens of the Mysore Palace and is made with chickpea flour, ghee (clarified butter) and sugar. The texture varies with the amount of ghee added to the dish from hard and porous (less ghee), to soft, dense, and fudge-y (more ghee). 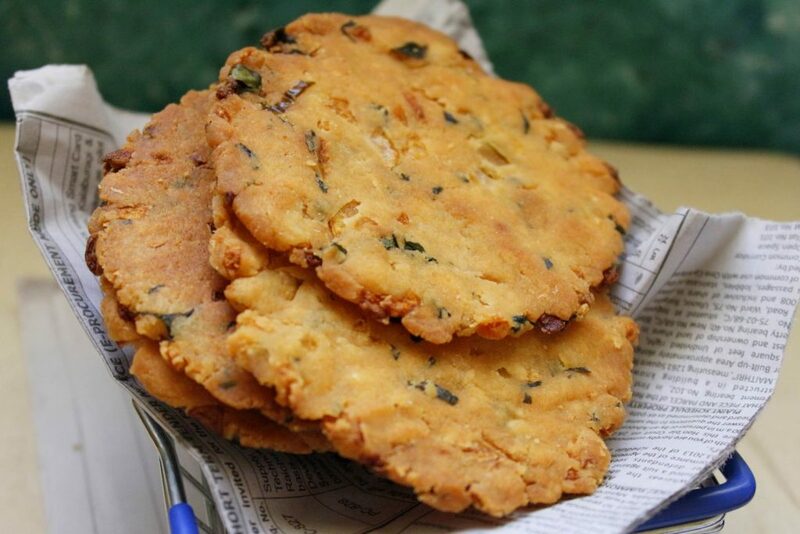 A popular snack, the Maddur Vada gets its name from Maddur town in Mandya. Unlike regular vadas which resemble doughnuts, Maddur Vadas are large and circular. They are made with flour, onions, semolina, and spices, and fried until crispy on the outside, but soft on the inside. Like dosas, idlis are enjoyed across South India. 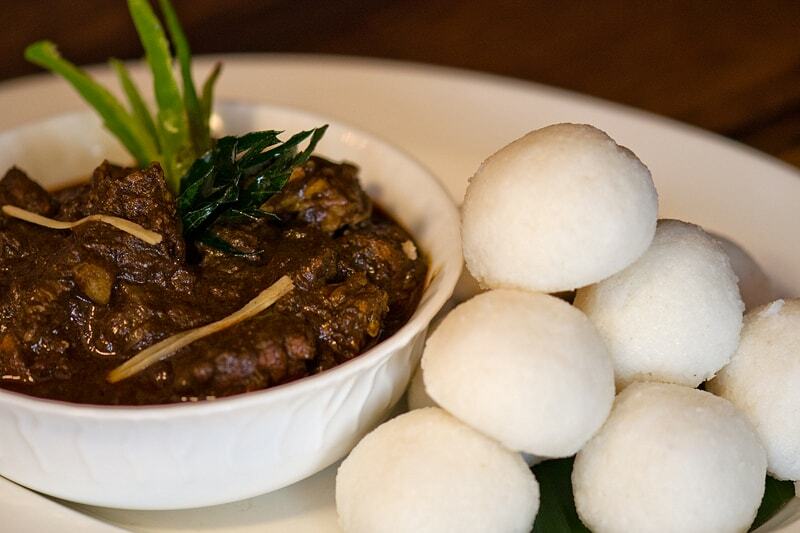 These steamed rice cakes are made with a fermented batter of black lentils and rice and served with chutney and sambar. 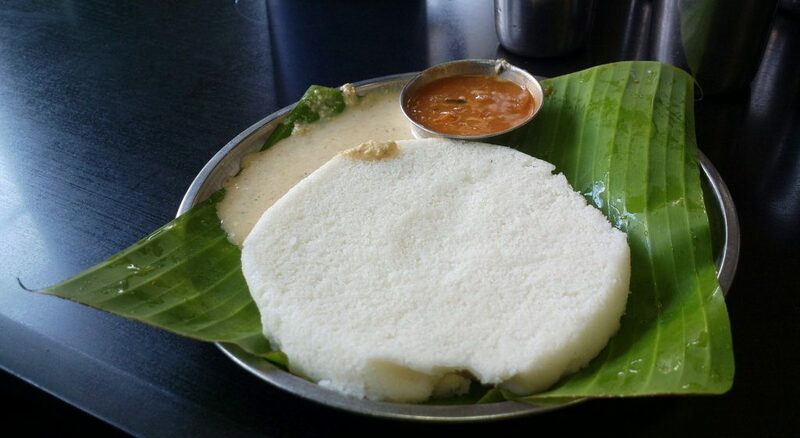 A popular variation in Karnataka is the Tatte idli, a plate-sized flattened variant. Other variations popular in Karnataka are the rava idli, made from rava (or semolina), and Muday idli found in Mangalore. Named for the city of Dharwad in Karnataka, this sweet is made with milk which is heated and stirred continuously, along with sugar and condensed milk. It is said that this sweet was first created by a 19th-century confectioner in Dharwad, and has been given a Geographical Indication tag. Pork or pandi is a popular non-vegetarian delicacy hailing in Coorg (or Kodagu). 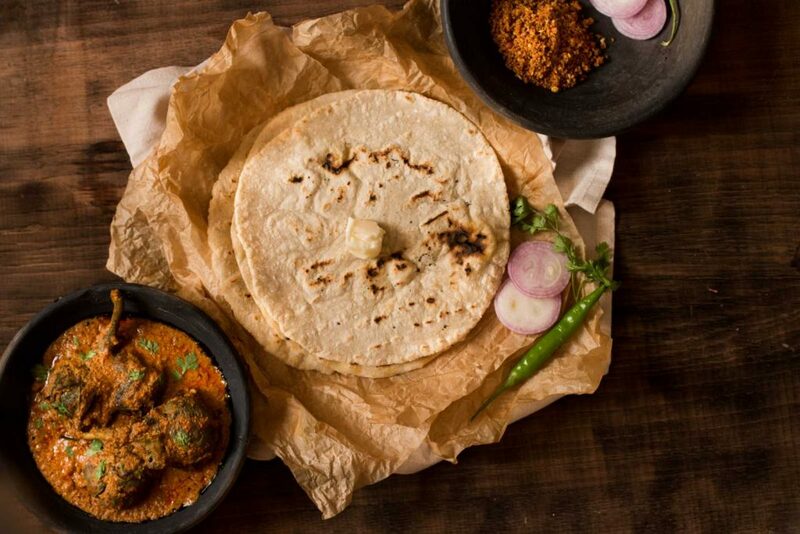 This spicy curry is made with a unique spice blend, and ‘Coorg Vinegar’ made from kachumpuli, a fruit which imparts a distinct sour flavour. It is served with rice balls or akki roti (rice roti). 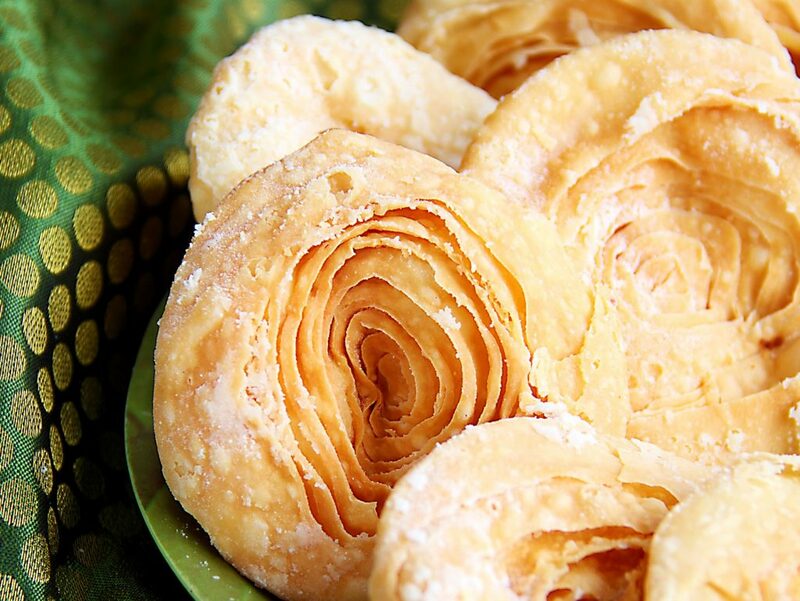 Chiroti is a traditional sweet that is prepared with a layered dough of maida (plain flour) fried until it resembles a flaky pastry and sprinkled with cardamom sugar. A version of this is the shredded, flaky peni (also called pheni or sutarfeni) which resembles crispy vermicelli. Also similar is mandige, a crepe with a thin filling of sugar and ghee. Also called Goli baje, Mangalore Bajjis are a popular snack from Karnataka. It is made with flour, yoghurt, gram flour, rice flour, onions, coconut, and green chillies which are shaped into small balls and deep fried. 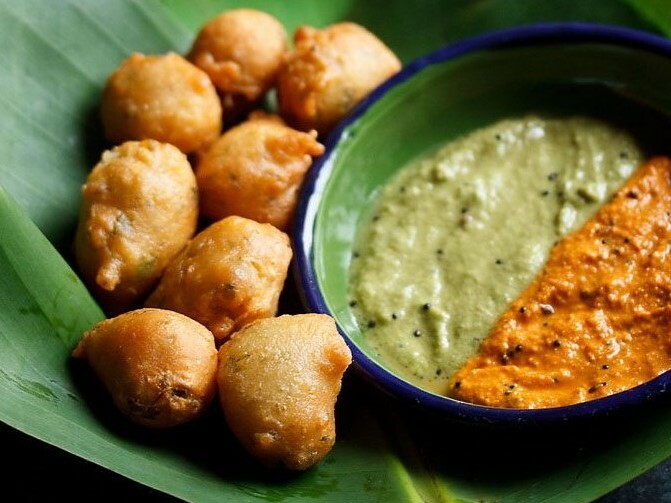 Crispy on the outside and soft on the inside, it is often served with coconut chutney. 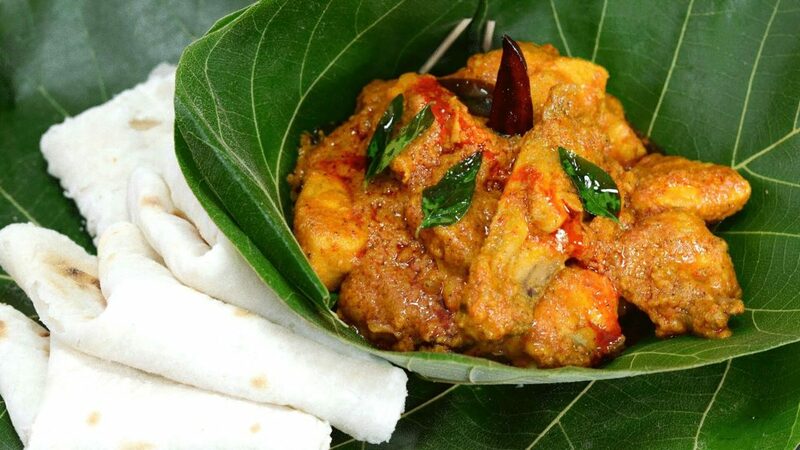 Kori Gassi is a chicken curry which comes from the coastal region of Karnataka and is particularly popular in Mangalore. The chicken is cooked with spices, tamarind, and ground fresh coconut. 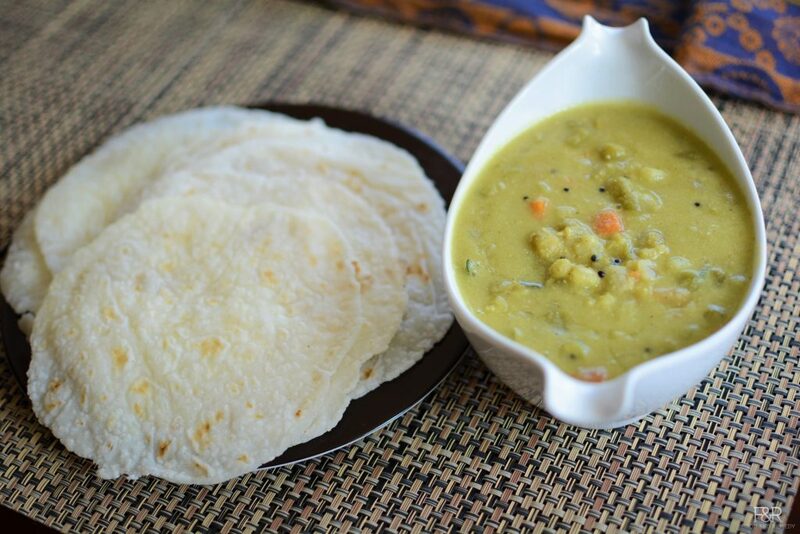 It is often served with neer dosa or roti. 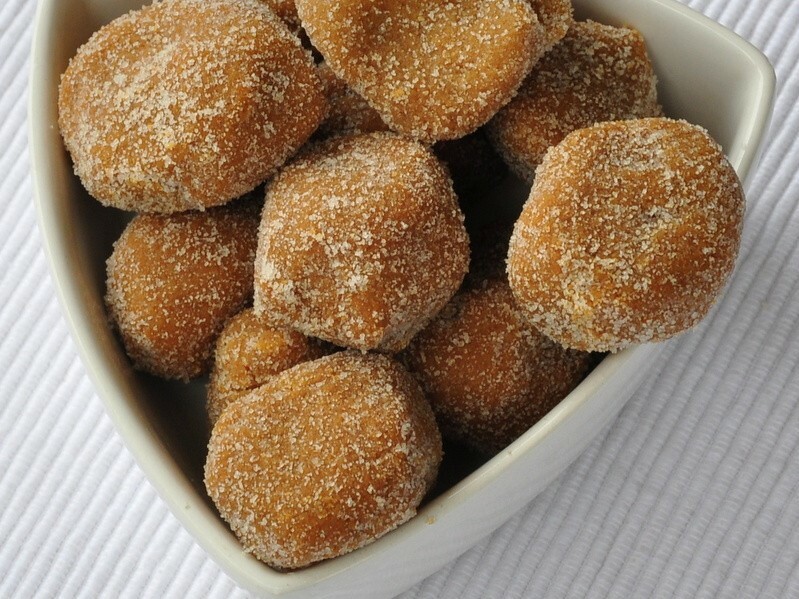 Many desserts from Karnataka are made without dairy products and sweetened with jaggery. 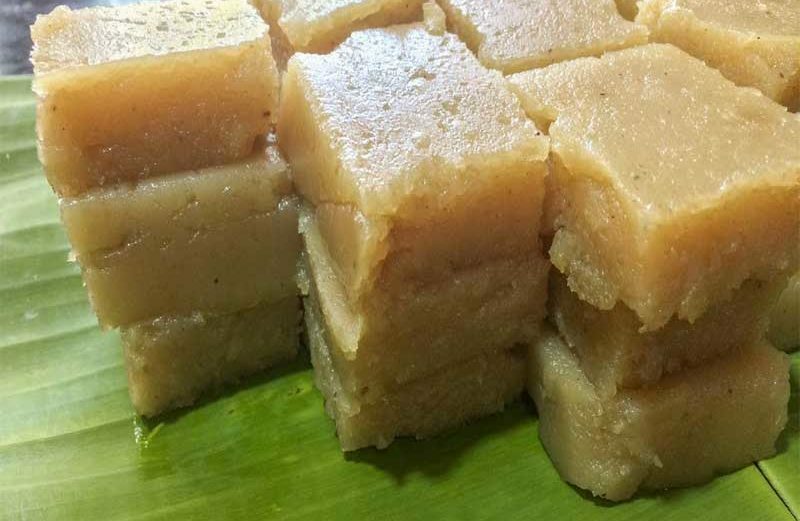 One of the most popular of these is haalbai, which is a fudge made from ground rice, coconut and jaggery, as well as coconut milk. Similar to this is huggi which consists of cooked rice with hesaru (dried mung bean), with coconut, milk, elakki (cardamom) and jaggery. Eaten throughout Karnataka, saagu is a creamy vegetable curry made with coconut, spices, and poppy seeds. It is often served as an accompaniment with dosa, chapati or poori. 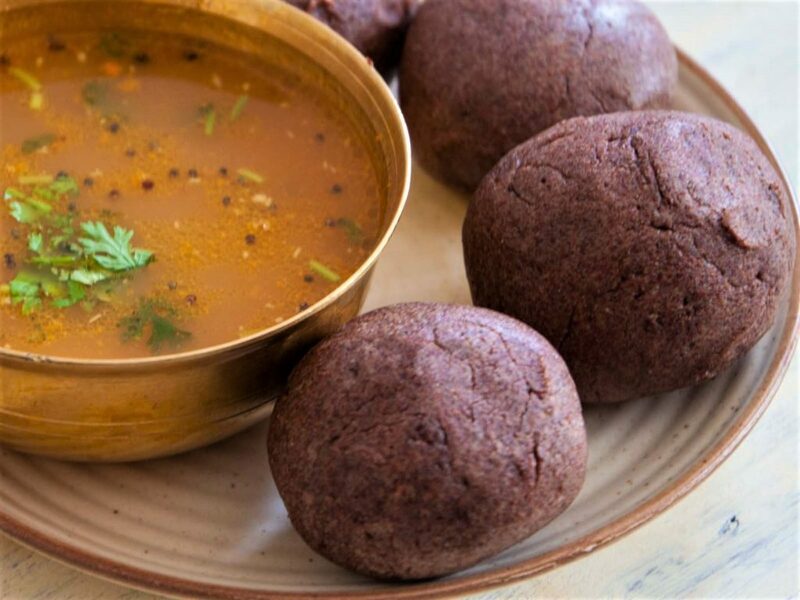 Ragi mudde is a very popular staple dish in the rural area of Karnataka, and can also be found in cities across the state. It has only two ingredients, ragi (millets) flour and water. The mixture is cooked until it creates a smooth dough which is then shaped into balls. These are eaten with types of saaru (thin stews made of greens with sprouted grams, meat or vegetables) or curry. 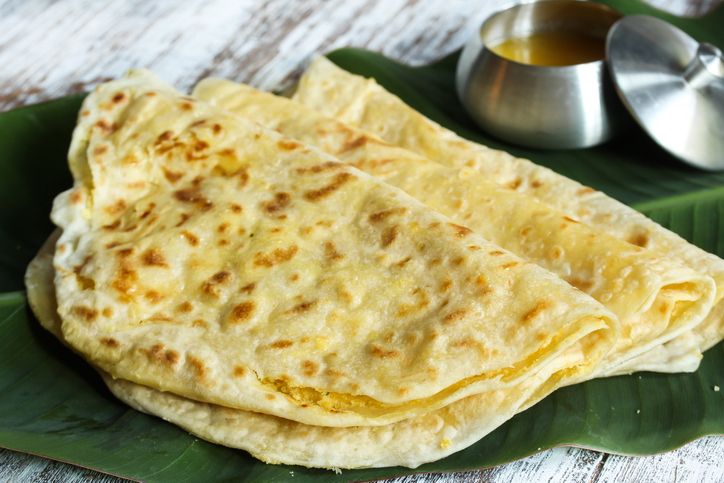 This sweet flatbread is found across India as puran poli. Known as obbattu or holige in Karnataka, it is made with wheat flour, ghee, cardamom and nutmeg. One version is filled with channa dal (split yellow gram) or toor dal and jaggery, while another has a coconut and sugar based filling. Uppittu, or upma as it is also known, is a dish that is popular throughout South India and is usually made with dry roasted rava (semolina) cooked with water and vegetables. In Karnataka, a variation of this is mixed with a variety of spices creating khara bhath. A sweet version, kesari bhath, is often served with this (together called chow chow bhath) is also popular, made with rava, sugar, ghee, and milk, as well as saffron and pineapple or banana. When made with coarser rava and unflavoured with saffron, is called sajjige which is similar to sooji halwa from North India. While chaats might be a street food mostly associated with Northern India, Churumuri is one that comes from Karnataka. 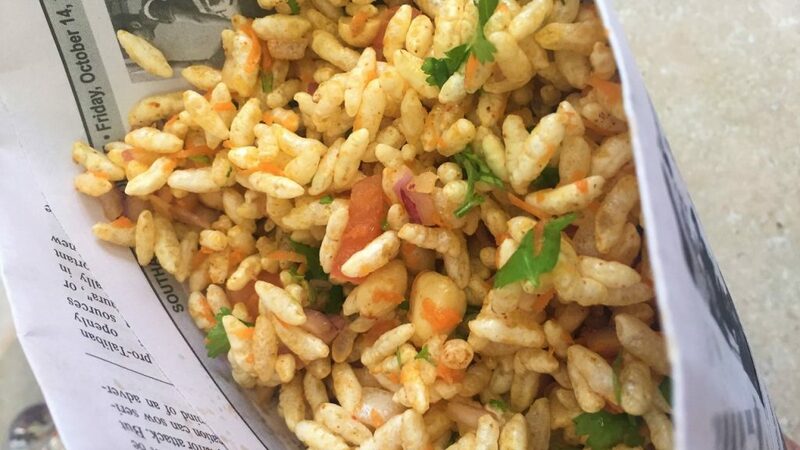 This snack is made with puffed rice mixed with carrot, onions, tomato, jaggery, spices and ghee or oil. Unlike the similar bhel puri, it doesn’t have tamarind paste. 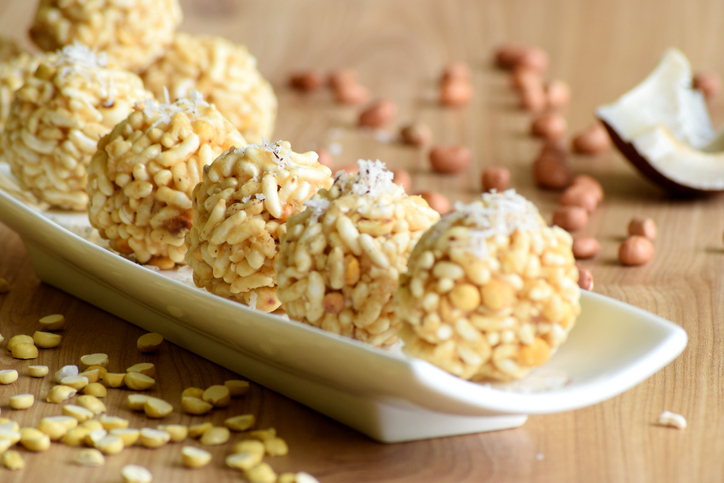 Puffed rice (or puri) is also used in this sweet dish where they are combined and coated with jaggery to made puffed rice balls (unde). 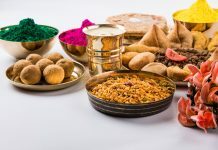 There are also lots of different types of unde, such as rave unde (made with semolina), besan unde (made from besan, or chickpea flour), shenga unde (with peanuts), ellu unde (with sesame seeds, and also called til laddu). There are lots of other delicious Karnataka foods you must try, such as kane rava fry (crispy fried fish fried with semolina) or puli kodel (a Mangalorean light stew). But, if we’ve missed any of your favourites, be sure to share them in the comments below.